An artisinal miner at work. Photo Credit: CINCIA. 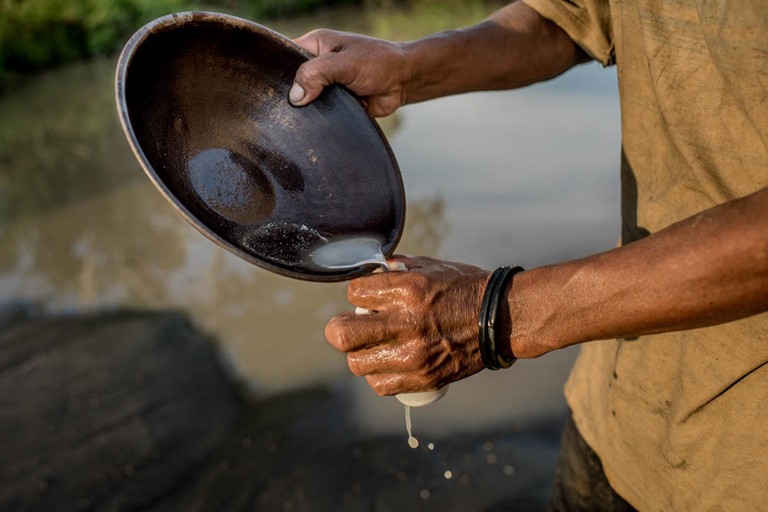 Artisanal miners don’t exploit large veins of gold, instead collecting gold flakes from throughout the rainforest by stripping the land of trees or scooping up river sediment, then using toxic mercury to extract the precious metal. 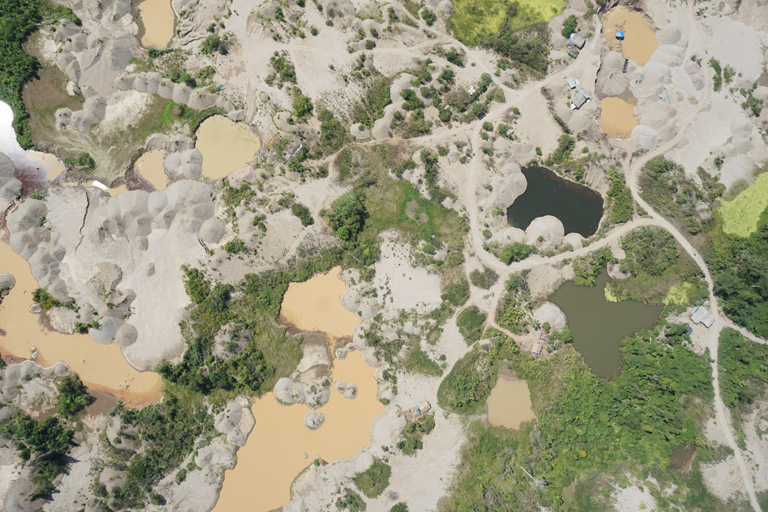 Though the environmental damage done by artisanal miners is extensive, it is also hard to detect remotely — the miners leave behind a barren landscape of mercury-polluted ponds and sand dunes, which can resemble a natural wetlands environment when viewed via satellite imagery. 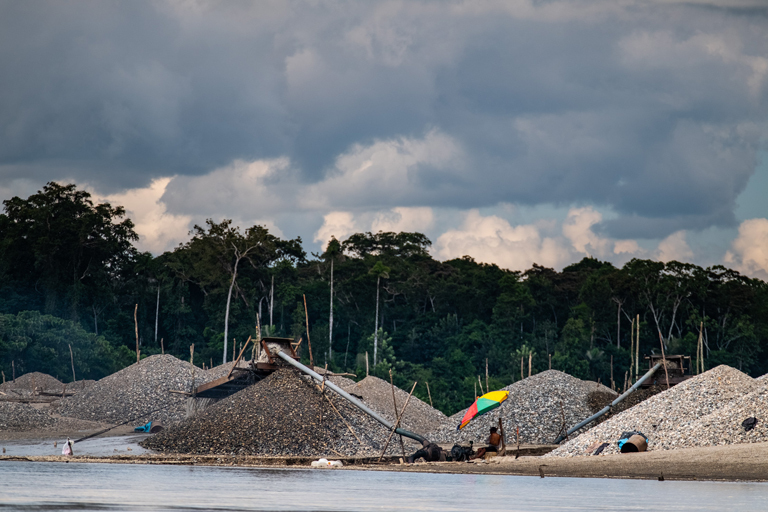 Artisanal-scale gold mining took off in the Peruvian Amazon in the early 2000s, after the completion of the Interoceanic Highway, which connects Peru and Brazil, made Peru’s remote rainforests more accessible. Deforestation aerial photograph. Photo Credit: CINCIA. River sediment used in artisanal gold mining. Photo Credit: Jason Houston. CINCIA has partnered with the Peruvian Ministry of the Environment’s Instituto de Investigaciones de la Amazonía Peruana (IIAP) to develop new scientific innovations that can help monitor and address the environmental impacts of gold mining in Amazonian rain forests.